They just don’t make first-person shooters like they used to. Except for Strafe. I actually don’t really remember how they used to make video games. Firing laser beams at motherboards? 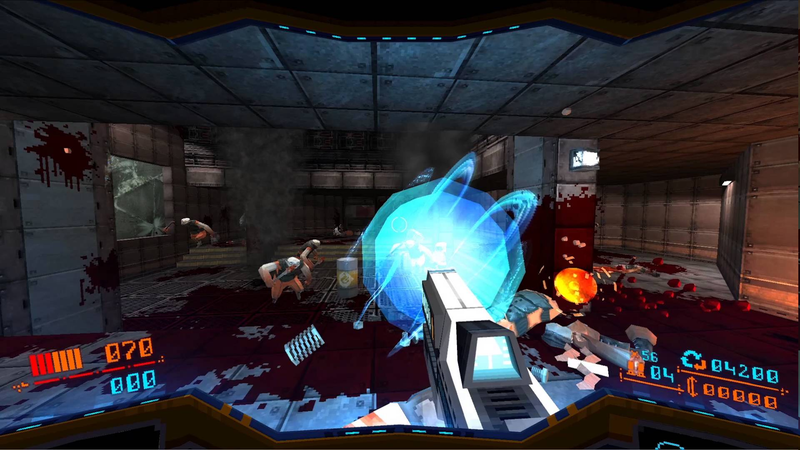 The 90s are almost two decades old, so who knows what they were really like, but the uber-violent shooter-throwback Strafe seems like as good an approximation as any of what we all thought they were like: bloody, twitchy, and not full of low-res textures and clipping. Unfortunately, I don’t have anyone to play it while I watch over their shoulder ready to gasp and turn away every time my squeamish capacity for guts and glory gets overwhelmed. No, I think I’ll stick with the bloodless space decapitations in Destiny, thank you very much.